Wedding bells are in the air, and so is murder. Kay Driscoll's son's wedding reception for two hundred guests is in her backyard. As if that wasn't enough, a precocious and troubled twelve-year-old is foisted on her two days before the wedding. When the happy day arrives, one of the guests disrupts the event and is asked to leave: a womanizing member of Kay's book club. 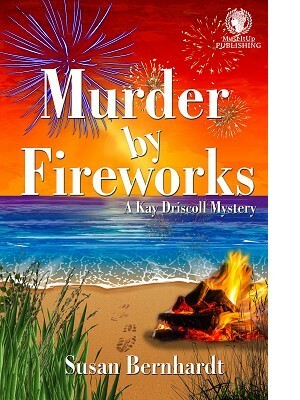 A few days later, after a Fourth of July fireworks show, he is found dead on the beach. Kay and her ever-present friends, Elizabeth and Deirdre, investigate the death, which at first is declared a suicide. They believe this is a cover-up and go about to prove their theory, an arduous task because the potential suspects are many, and few (if any) will regret the victim's death.